Seeking Beta Testers for our new Apple TV App | Appracatappra, LLC. 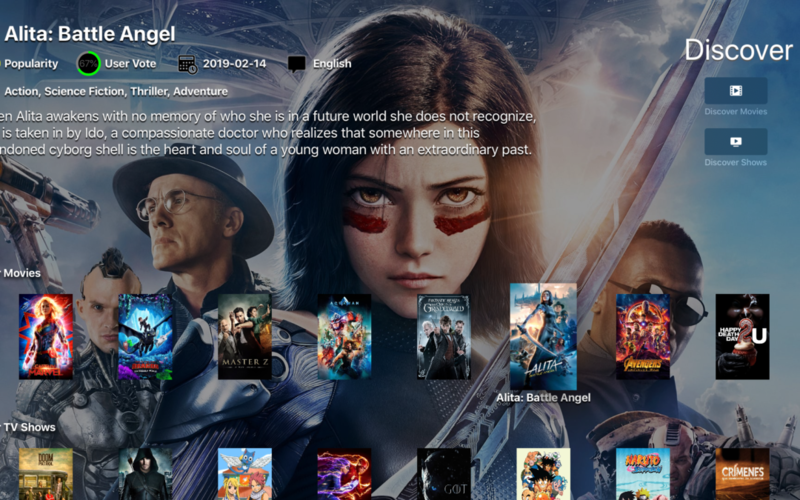 We’ve spent the last few months working on a new Apple TV app designed to make it easier to find movies and TV shows to watch. What do I want to watch now? With hundreds of channels, thousands of movies and shows, spread across a handful of networks and streaming apps. How many times have you sat down in front of the TV with no idea of what you want to watch… and just couldn’t seem to find anything of interest? While all of the current batch of streaming apps and entertainment stores are great at locating a movie or show if you know exactly what you want to see, they aren’t so great if you just want to browse. That’s why we created Media Marquee, to fill in the gaps for those times you’re not sure what you are looking for or to discover something new. Media Marquee is your ultimate guide to everything movies, TV shows and the people who create and star in them. Find the next great hit or rediscover a forgotten favorite. Use our powerful browse and discovery features to locate movies, shows or people of interest. Limit returned results with easy to enter filters such as: Genre, Rating, Year, Votes, Keywords, Studio, Cast or Crew. Save frequently used searches to one of Media Marquee’s home pages where it will be automatically updated for easy access. Track movies, TV shows, studios, networks and people of interest. Get updates on movies that are currently in the theater or soon to be released. View current TV shows along with upcoming shows that are in the works. Watch trailers, previews and featurettes for movies, shows and episodes. View artwork and stills related to movies, shows and episodes. View movie and show ratings and reviews. Open a given movie or show in a related app (where available) or in the iTunes Store to purchase, rent or play (if you have previously purchased). Stay informed with the top movie, TV and celebrity headlines. Play movie, television and celebrity trivia. Join a thriving community of people passionate about movies and TV shows. Media Marquee is powered by the TMDb API but is not endorsed or certified by TMDb. An iPhone or iPad logged into an iCloud account with the free TestFlight app (available from the app store). A 4th generation (or greater) Apple TV logged into an iCloud account with the free TestFlight app (available from the app store). We look forward to getting your feedback and thoughts on the app. If you have any ideas for new features or any suggestions on existing ones, we’d love to hear them.